Clarice Lispector, J.G. Ballard, Ikhwan al Safa, Fernando Pessoa, Friedrich Schlegel, Georg Simmel, Walter Benjamin, Arthur Schopenhauer, Theodor Adorno, Gilles Deleuze, Robert Smithson, Lucy Lippard, W.G. Sebald, Ernst Jünger, Paul Virilio, Laurence Sterne, Joseph Heller, A.E. 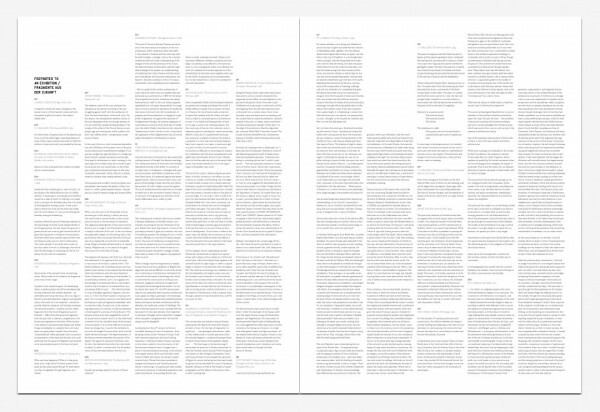 van Vogt, Fredric Jameson, Ursula K, Le Guin, Rainer Maria Rilke, Thomas Pynchon, Virginia Woolf, Georges Bataille, Jeremy Bentham, Michel Foucault, Albert Speer, Albert Einstein, Robert Smithson, Blaise Pascal, Carl von Clausewitz, US Army, Eyal Weizman, Reza Negarestani, Ezra Pound, Marshall Mcluhan, Friedrich Kittler, Paul N. Edwards, Julian Assange, and others. The design of the publication plays with Harald Szeeman's original catalogue for the Science Fiction exhibition at the Kunsthalle Bern from 1967. 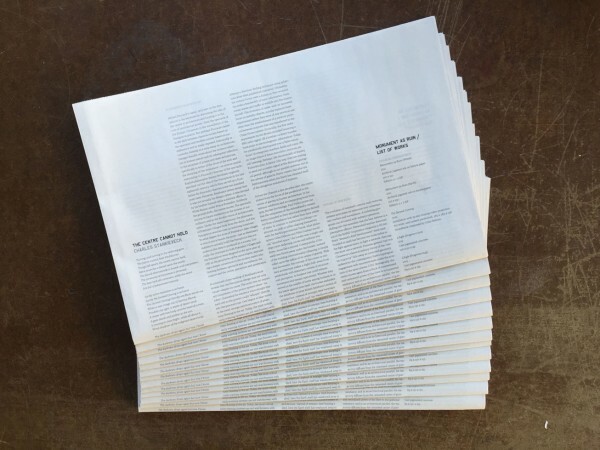 Printing includes a unique metallic and black overprinting on newsprint. 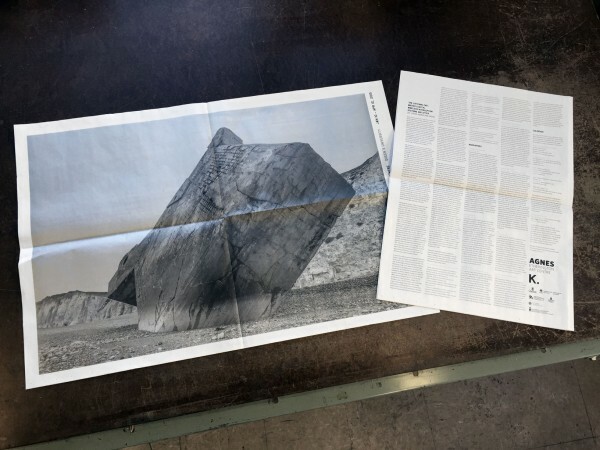 Co-published by the Agnes Etherington Art Centre, Queen’s University and K. Verlag for the exhibition Monument as Ruin by Charles Stankievech which won an OAAG Best Exhibition of the Year 2015.